경주 최씨의 종가로 신라시대 '요석궁'이 있던 자리라고 전하는 곳에 위치하고 있다. 9대째 대대로 살고 있으며 1700년경 이 가옥을 지었다고 하지만 확실한 시기는 알 수 없다. 건물 구성은 사랑채·안채·대문채 등으로 이루어져 있는데 그 중 대문채에는 작은 방과 큰 곳간을 마련하였다. 사랑채는 안마당 맞은편에 있었으나 별당과 함께 1970년 11월 화재로 지금은 터만 남아있다. 사랑채터 뒷쪽에 있는 안채는 트인 'ㅁ'자형이나 실제로는 몸채가 'ㄷ'자형 평면을 가지고 있고 'ㄱ'자형 사랑채와 '一'자형 중문채가 어울려 있었다. 또한 안채의 서북쪽으로 별도로 마련한 가묘(家廟)가 있는데 남쪽으로 난 반듯한 길이 인상적이다. 안채 뒷편으로 꽃밭이 있어 집 구성에 아름다움을 더하고 있으며, 조선시대 양반집의 원형을 대체로 잘 보존하고 있어 중요한 자료로 평가받고 있다. 지정 당시 명칭은 경주최식씨가옥(慶州崔植氏家屋)이었으나, 경주 최씨가문이 대대로 살아왔던 집이고, 경주의 이름난 부호로 '교동 최부자 집'으로 널리 알려져 있어 ‘경주교동 최씨 고택’으로 명칭을 변경(2007.1.29) 하였다. 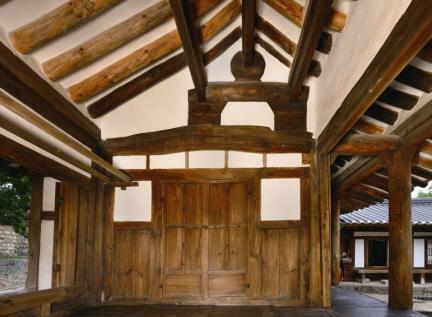 This is the head house of the Choe Clan in Gyeongju. 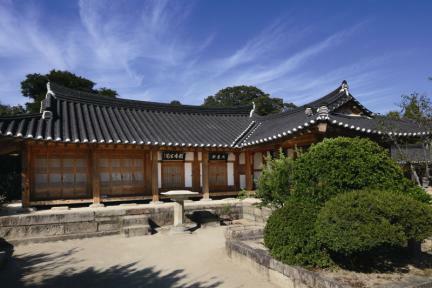 According to legend, it is located on the site of Yoseokgung Palace of the Silla Period. Descendants of the clan have continued to live in the house over the past nine generations. It is said that it was built around 1700, but this is not certain. 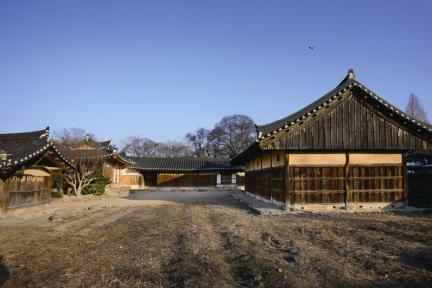 The house comprises the anchae (women’s quarters), sarangchae (men's quarters) and daemunchae (servants’ quarters). 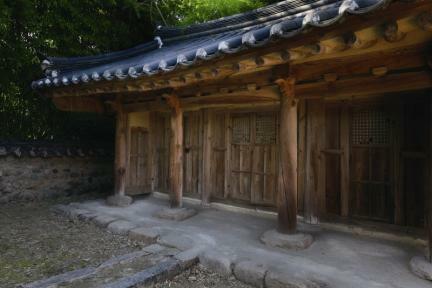 The daemunchae has a small room and a big repository. 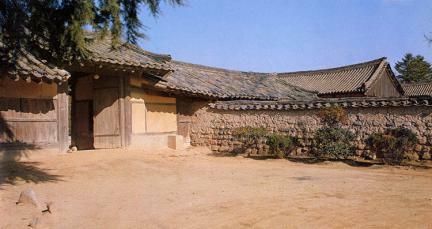 The sarangchae, which used to be located in the "inner" yard, no longer exists, as it was destroyed along with the byeoldang (detached quarters) by fire in November 1970. 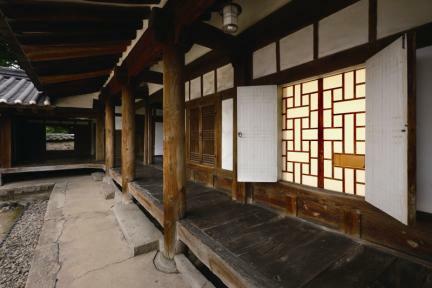 The anchae, which is located at the back of the sarangchae site, is built in the open-style square-shaped form, but originally it was built in the square bracket-shaped layout, forming a harmony with the upside-down-shaped sarangchae and the jungmunchae (living quarters near the middle gate) in the straight layout. 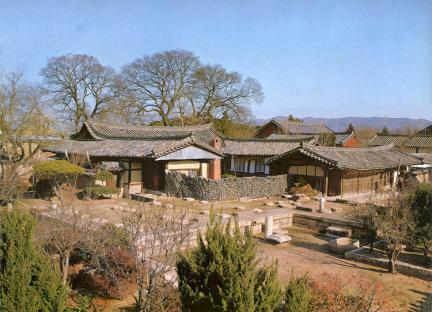 A family shrine is located at the northwest of the anchae. 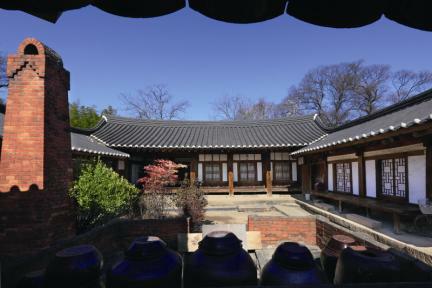 At the back of the anchae there is a flower garden, which adds an element of architectural beauty. 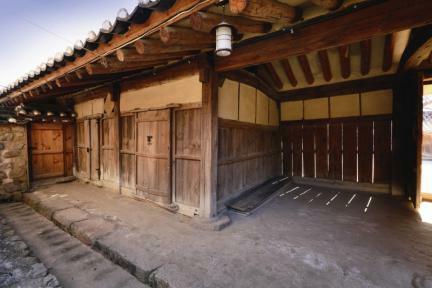 This house is a typical one of the nobility of the Joseon Dynasty and has been well preserved, so it is considered a valuable resource in the study of traditional Korean architecture. 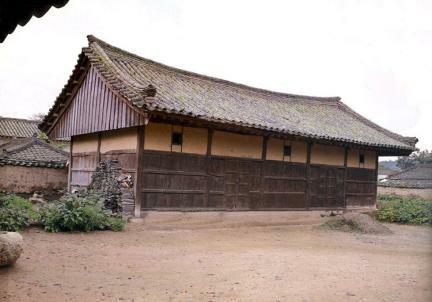 The name of the house used to be “Choe Sik’s House of the Gyeongju Choe Clan” at the time of its designation as an important heritage, but it was changed to “Historic House of the Gyeongju Choe Clan in Gyo-dong, Gyeongju” as the descendants of the clan have been living in it over several generations and it is well known in Gyeongju as “Choe Clan’s House in Gyo-dong.” (Jan, 29, 2007). * The house is usually open everyday, but it might be closed on occasion due to the owner’s personal circumstances.